Wanna read about a lot of grown men soiling their pants out of fear? Well, check out the Steam reviews for Resident Evil 7. 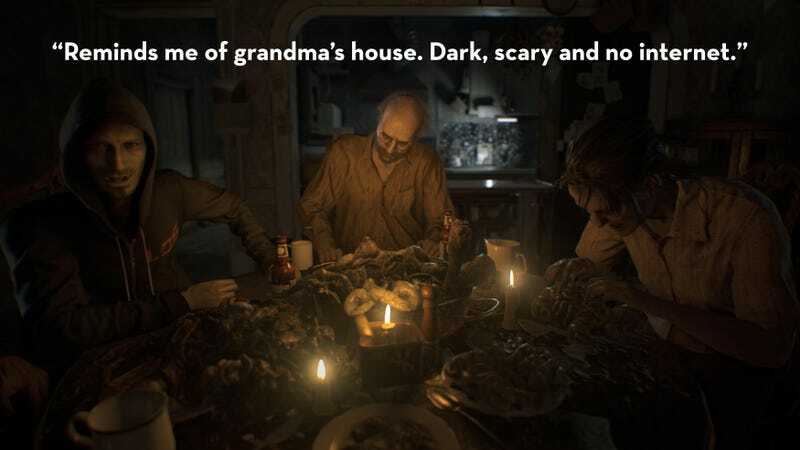 Resident Evil 7 is scary. Hell, I can hardly stand to look at gifs from it. Players on Steam were quick to note how much this game frightens them, declaring the game a return to form for the franchise. The Baker family, it seems, have made a significant impact on them. Kind of like how a shovel can have a significant impact on your leg! But even if players are scared shitless, there’s still time to make jokes. You laugh to keep from crying, I guess. You can check out more reviews for Resident Evil 7 here, or read our ongoing “As Told By Steam Reviews” feature here.